Mobile Bingo Bonuses bring you news of a brand new offer from Spin and Win Casino, their new Cash Spin Slots. This is a 5 reel 243 ways to win slot machine which is available during the week of Monday 31st March to Sunday 6th April 2014. What is Cash Spin Slots? Cash Spin Slots was made into an online slot game following the success of its land-based version. It was originally a liner slot machine but has been changed to 5 lines with 243 ways to win, offering enhanced gaming possibilities. 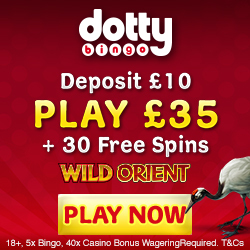 Amongst its features are wilds, scatters, a moneybags bonus game as well as a wheel of fortune type bonus which offers cash prizes as well as bonus spins. During this week players can be in for a chance to share the £100 prize pool, by simply playing Cash Spin Slots between Monday and Sunday and the top 10 wagerers will each receive £10. If you’re new to Spin and Win Casino then you probably won’t know that they are one of the hottest and most prestigious gaming sites that can be found online taking in games content from some of the top and most innovative providers in the market. They not only offer excellent gaming but also loyalty rewards to add to the fun. As a new player at Spin and Win.com you could receive up to £200 bonus on your first 2 deposits plus 10 spins on your first deposit. 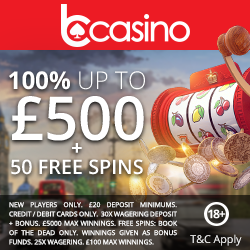 On your first deposit you’ll receive 100% bonus and 10 spins in between £10 to £100. On your second deposit you will again receive 100% bonus in between £10 to £100. If this already sounds amazing wait till we tell you about the 15% cash back for life! Every member at Spin and Win.com will automatically qualify for a minimum of 5% Cash Back Bonus simply by making their first deposit. Spin and Win realise that not everyone is always lucky but hopefully 5% cash back bonuses on your losses will make it that bit easier. Make sure you check your Spin and Win.com account every Friday if you qualify to see the amount of Cash Back Bonus waiting for you! Then all you need to do is accept the Cash Back Bonus amount and it will be credited to your account instantly. For more information, to register or to play simply head to Spin and Win.